The Belfry Hotel & Resort has once again outlined its outstanding credentials amongst the world’s leading golf resorts by receiving top awards for ‘England’s Best Golf Course’ and ‘England’s Best Golf Hotel’ at the annual World Golf Awards in Portugal. The renowned Midlands resort saw off some of the finest competition to receive the accolades for the exceptional facilities and first class levels of service across the resort, alongside the world’s only 4-time Ryder Cup host course, The Brabazon, proving that it remains one of the most desired and enjoyable golf courses in the UK. 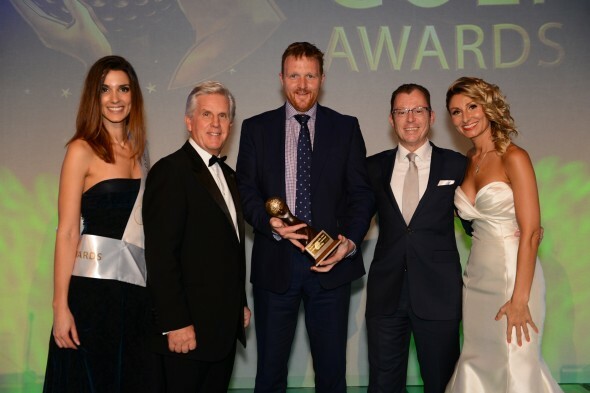 The Awards celebrate and reward excellence in golf tourism across the globe, and sit alongside the prestigious World Travel Awards, where The Belfry Hotel & Resort was this year named as England’s Leading Resort. These accolades pay testament to the excellent accommodation, leisure and dining experiences on offer at The Belfry, and how they combine with the world-class golfing heritage to provide the perfect getaway for any golfing break. With three supremely conditioned golf courses, from the world renowned Brabazon, to the PGA National and Derby courses, there is definitely something to suit every player. The World Golf Awards strive to raise golf customer experiences at golf resorts and courses across the globe, and are voted for by industry leaders, including senior executives, tour operators and agents, as well as golfers worldwide to provide the gold standard in global golf tourism. To experience The Belfry Hotel & Resort for yourself please visit www.TheBelfry.co.uk or call 0844 980 0600.